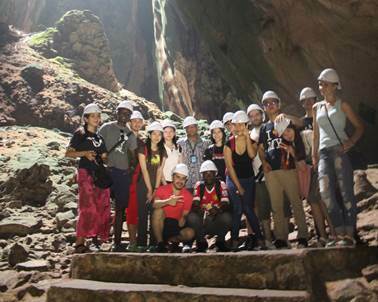 A group of 28 students and lecturers from the APU Media, Tourism and Services Cluster of the Faculty of Business and Management (FBM) embarked on a learning journey outside the classroom on the 19th of August 2015 (Wednesday), as they explored the majestic caves of Batu Caves and admired the Malaysian history of the tin industry at the Royal Selangor Pewter Visitor Centre. 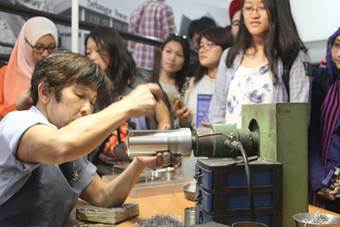 This educational trip was held to educate the students on the concepts and execution methods required to operate a tourist attraction, as well as the tips and techniques required to conduct an efficient and effective guided tour at renowned tourism attractions. 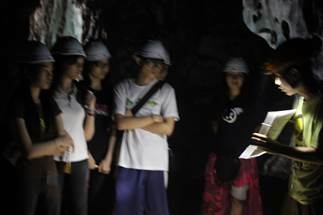 The caves expedition was an eye opening experience for the students; as it was not only an adventure into the unknown, but also a combined history, biology and geology lesson about the formation of Malaysia as a landmass and how the elements worked together to create a wonderful specimen of a time warp, with a living fossil (the Trapdoor Spider, Liphistius batuensis) being preserved for research and future generations. The heart and soul of the experience was the amazing dedication and knowledge of the guides who were truly dedicated and passionate towards preserving a living ecosystem. 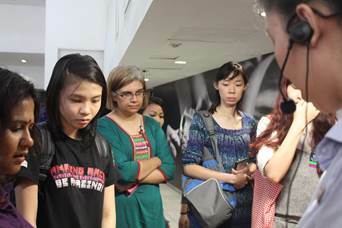 The next stage of the trip was a glimpse of another part of the history of Malaysia. 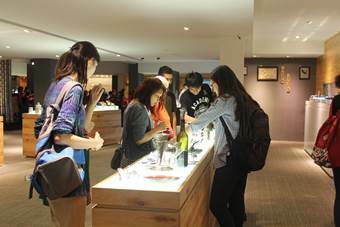 A guided tour of the Royal Selangor Visitor Centre did not only showcase the history of tin mining and its subsequent flourishing enterprise, but also the artistry and processes that enabled high quality, handmade products to be produced with minimum waste and maximum efficiency. The overall trip was an AWESOME experience for the students as they enjoyed learning outside the classroom in the truest sense. Hopefully more trips like these can be organised in the future, to benefit our students as they are able to attain knowledge in a more interesting and creative way.